In the press there have been articles about Nintendo’s great failure. 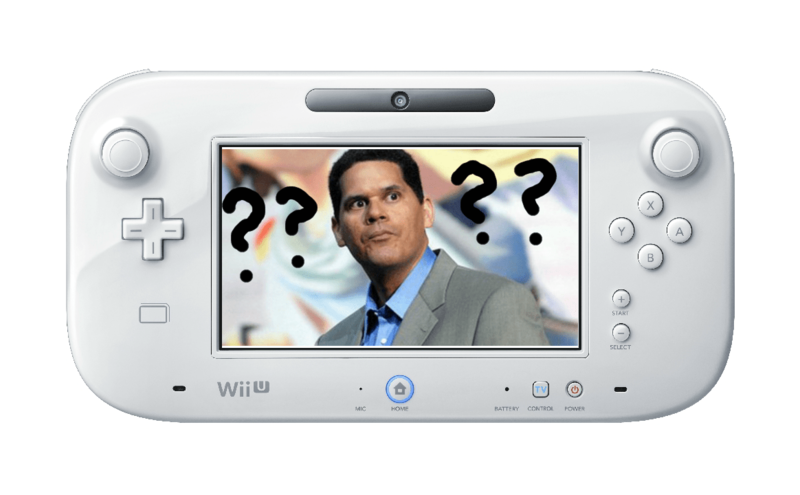 Hope of turning the WiiU into a money-making juggernaut like that of the Wii is now buried. Talk amongst soothsayers of the gaming industry is Nintendo should just abandon the hardware market and convert to a solely third-party software development house, becoming the next game studio catering to smartphones, tablets, and development on rival consoles. However the rumors of Nintendo’s financial demise is greatly exaggerated. To understand why, turn the clocks back to 2005 at the release of the original Nintendo DS. When the Nintendo DS launched, it was the gaming handheld to buy. Within a short time-span, there was a plethora of games in the Nintendo DS library that worked with the rather novel resistive touchscreen panel, which enhanced interactivity in ways never capitalized on before. In 2006, Nintendo had another smash hit in the Nintendo Wii, which sported an innovative set of motion controls which enhanced immersion in gameplay as well as encouraging group gaming with friends and family. With the Wii, despite being underpowered and lacking high def support beyond 480p resolution, integration of the first true motion controlled game system was a novel fresh concept. The bundling of the killer app of Wii sports and the release of classic Nintendo franchises kept the competition well at bay. It didn’t hurt that Nintendo basically just upped the specs of the Gamecube doubling the ram, and increasing the PowerPC CPU speed and upgrading to the next generation of entry-level ATI graphics card. In the case of Xbox 360 and PS3, they had drastically switched architecture from the previous generation of console. Microsoft’s Xbox went from being a Intel Celeron based system to moving over to the PowerPC G5 chip that Apple had once used. Sony touted the “next generation” of chip from IBM called Blue Cell, a multi-core PowerPC chip that flopped in the end. Nintendo actually made money on each Wii sold right out of the gate while Microsoft and Sony both lost significant money on each console sold. For Microsoft, the Xbox 360 lost them $125 for each console sold since 2005, while Sony initially lost $306.85 per console sold since 2006. Switching gears from Nintendo’s western front, Nintendo just was not ready for the smart phone revolution. The smart phone we see today was a warp pipe-dream in the minds of the general populace 10 years ago. Everyone sported their candy bar or flip-phone style equivalents of pre bronze age tools. Only a small contingent of tech-nerds or even business people were likely to have a Blackberry, Nokia Symbian, or Palm OS smart phone device. But even then, the simple fact was there was no infrastructure of support the app development and mobile gaming craze you see today. Let alone the battery life on such devices would never support such a taxing app. This allowed Nintendo’s Gameboy franchise to dominate as portable gaming king for 23 years. Apple caught everyone completely off guard with the release of the iPhone in 2007. Many technology historians considered it the first true smartphone. The iPhone’s emphasis on easy to use capacitive touch screen controls, multimedia capabilities and, above all, its basic one piece construction that placed more emphasis on a display over the traditional built in QWERTY chiclet keyboard made it bold and icon right from the get go. About a year after the début of the iPhone, Apple brought the App Store to the platform, along with eager developers waiting in the ranks to develop cheap 99 cent games. The rest is history. Because of this quantum leap in the development in mobile devices like the smart phone and tablet, Nintendo simply couldn’t rest on their laurels. The 3DS and then the Wii U set out head-on to counter the competition in their own right. While the Nintendo 3DS has gone on to sell over 35 million units since its inception and has proven quite popular, the Wii U hasn’t fared nearly as well at a mere 4 million units sold total since it first launched in November 2012. Leaving many to wonder if the house that Mario built was soon doomed to the landfill. Look at Nintendo’s biggest former rival SEGA. Long gone are their snarky “Genesis Does what Nintendon’t” commercials of the past. Having abandoned the hardware business, they became a shell of their former greatness, now relegated to a mid-tier third-party game development game publisher. They kept trying to do too much and too fast with too many similar and self competing hardware devices on the market at one time. So on the onset, we are looking at a Nintendo that is doing just fine and has no intention of squandering their original IP on projects for second-rate smart phone and tablet titles. Despite the net losses incurred in 2013 due to poor sales of the WiiU, Nintendo’s cash flow has actually increased by 15% up from the losses incurred in 2011 and 2012. And with a sizable 1.4 trillion Yen or $13.4 billion USD in the bank, Nintendo is sitting in a rather good place and can afford to make risky moves in the console space. If anything you could compare them to the Apple of the traditional gaming industry console makers. Nintendo should keep making great and low-cost hardware that leverages their always memorable gameplay and imaginative narrative suitable for all audiences, not for the speed of a chip or explosive repetitive recycled first person shooter blockbuster. No console is perfect, but putting craft, care, and support to third-party developers and into loyal the fans is key. It says something that more people now recognize Mario than they do Mickey Mouse. The cards are still stacked in their favor. Heck, they even made the cards we all play with today in modern consoles to begin with.